I think part of what makes it so hard to see our beloved little friends in pain is that we can’t explain to them why it hurts. We try to decipher where the pain is from telltale signs like limping, getting up slowly, or not being able to make it up the stairs anymore. But some animals are just stoic so we may not even notice their problem until it’s much worse. If only they could speak up! Luckily, technology and experienced veterinarians really help in figuring out the problem and finding the best solution to bring our pets back to their playful, happy selves. 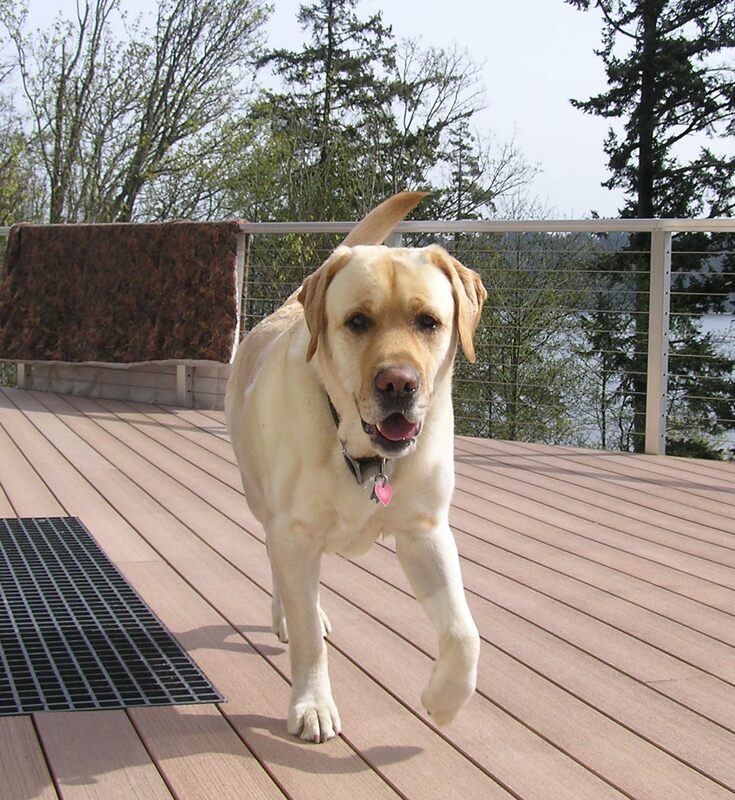 Meet Baxter, a happy Yellow Lab with elbow dysplasia. Raymond & Carolyn tell his story about how Vet-Stem helped bring joy back to his life. “At just over one year old, Baxter starting showing lameness at night after he spent all day playing. He was later diagnosed with elbow dysplasia. After stem cell therapy, he no longer shows any lameness. We live in the country on the water with steep terrain and hills. On walks, Baxter is everywhere – up the hill, in the water, chasing squirrels and just generally enjoying life as a goofy yellow lab. He has no hint of lameness and great joint flexibility.